The Tristones is a Blues-Rock-Funk project fronted by Canadian guitarist Tristan Clark. 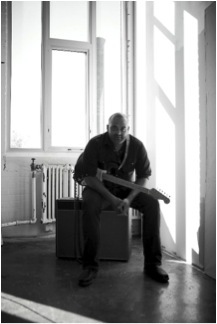 Originally from Vancouver Island, Canada, Tristan started playing guitar at the age of 11. He completed his degree in Jazz Performance at Humber College in Toronto in 2005. In 2014, Tristan moved to New York City to further pursue his career in the music industry. Tristan also teaches guitar as adjunct faculty for New York University’s Music and Performing Arts Department. The Tristones released their debut full-length album ‘Donkey’ in Toronto in 2013. Since relocating to NYC, The Tristones features Gregory Jones on bass and Adam Jackson on drums. Gregory studied at the New England Conservatory of Music. He is active on the Jazz, RnB, Brazilian, Latin-Jazz and Gospel scenes locally and has toured extensively. Adam studied performance at The New School and has worked with world class artists (locally and internationally) as well as in the studio.